Michael Cann was born during the spring of 1985 in the town of Shrewsbury (Shropshire), and raised by his parents in Newport (Shropshire). Ever since he first play on a Sega Mega-Drive he was fascinated by the inner workings of software and games alike. He was determined to find out how people had made Sonic and James Pond and other games that had captured his interest so much. At the age of 7 he wrote his first game in BASIC. 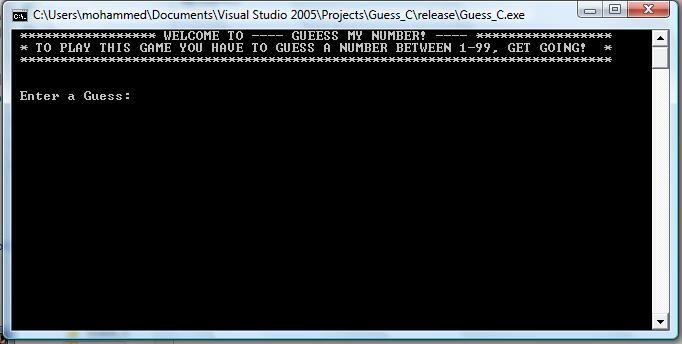 A simple 'Guess my number' command line game was less than 100 lines of code but seeing his friends play the game for hours at a time was enough to give him the taste he needed to continue his interest. A couple of years later he was given his first opportunity to financially benefit from what up till now he had considered just a hobby. He was asked to develop an intranet for a local law firm. Having discovered that there was a potential career for his hobby and passion he was then hooked for life. Around this age he also began experimenting with audio production. He explored various hardware and software tools attempting to recreate the sounds of his favorite artists. Although this passion continues to this day, it never developed any further than a hobby, instead he decided to devote his time to programming. He attended The Adams Grammar School in Newport Shropshire where he did well in his GCSE's and A' levels. His particular interests were Maths and Physics. His exam results meant that he had his choice of universities, either Artificial Intelligence with Robotics at the University of Birmingham or Computer Games Programming at the University of Huddersfield. After much soul searching he decided that he would follow his passion for programming and accept the offer from the University of Huddersfield. His 4 years at Huddersfield University were some of his happiest. Freed from the requirements and restrictions of secondary school he was able to pursue his passion for development. During the first year of he learnt DarkBASIC, using it to create a few games (1, 2, 3). Towards the end of the first year he also started to experiment around with Adobe Flash. With Actionscript 1 he created his first personal website with intro Artificial Studios. This was his first foray into the flash but certainty wouldn't be his last. 2004 and the second year of university for saw Michael learning more advanced languages in the form of C++ and Java. With these and the newly learnt Object-Orientated techniques he completed several 3D games and applications (1, 2, 3). 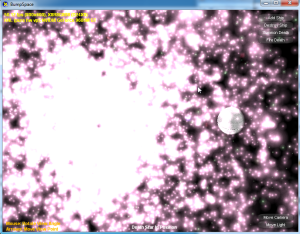 BumpSpace was one such project written in the spring of 2005 using C++ with DirectX. With the project he was attempting to apply some of the knowledge he had been teaching himself outside of lessions, namely Point-Sprite Particles, Bump-mapping and Bezier curves. The third year of University was an industrial placement year for Michael. He had secured a place with the Manchester based Mobile Games company RockPoolGames. There he helped work on several mobile titles including Ronnie o'Sulivans Snooker and the very successful Worms2 using his Java knowledge with J2ME. More than the technical aspect of the job he developed a keen sense and understanding of how games are made professionally. In September 2006 he returned to Huddersfield for his fourth and final year of university. That year he learnt many new languages and techniques including GPU programming with HLSL and XNA with C#. His theme for projects throughout the year was particle systems. One such project he taught himself techniques for updating and rendering many millions of state preserving particles purely on the GPU. During the final year he also worked on an application named ChainReaction that was designed to help game developers quickly and easily get high quality particle systems into their games. It was written in Java and used JavaOpenGL (JOGL) bindings to render the preview window. In 2007 he competed his degree and was awarded a Bachelors of Science (Hons) First Degree in Computer Games Programming. He was also awarded "Best Overall Performance on the Final Year of the Computer Games Programming Course". 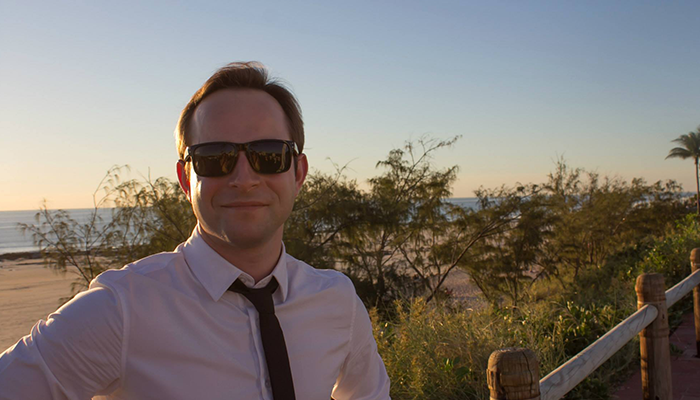 After his success at university and his continuing enthusiasm for games development he returned to RockPool to work for a further 12 months on the latest mobile titles. In addition to his work on J2ME based mobile games he also helped with developing some of the tools used with making the games. For the final three months of his time at Rockpool he enjoyed working on a number of Flash Game prototypes. He used this new found enthusiasm for Flash to continue on in his own time and develop a number of Flash games. IcySlicy was his most popular game gaining over 5 million total plays. In 2008 After the collapse of the mobile department of Rockpool Games Michael went to work for the Virtual Worlds company Dubit in Leeds. His primary role there was client-side development using Actionscript 3 (AS3) and numerous in-house technologies. He worked on several projects including a project for RealMadrid. His time at Dubit was short, but was invaluable to his education in large-scale programming environments. Late 2008 Michael was head hunted to join GameJacket in Manchester as a Senior Flash Developer and was tasked to work on building and developing the core technology of the GameJacket system. This involved writing APIs in AS3 that other game developers could use to monetize their flash games. Despite a promising start GameJacket unfortunately went into liquidation after just 6 months of joining. In 2009 Michael joined GamesChart, with a similar role as to GameJacket. There he wrote APIs in AS3 for other game developers to use. Due to the startup nature of the company he was also involved with a great many areas including serverside development and project management. Following a turbulent 12 months at GamesChart Michael accepted an offer to become one of the founding members of Playdemic. A company designed to ride the social games wave started by the gaming giant Zynga. For the first year there he worked in a small team to develop GourmetRanch a Facebook based Flash game that combines the best of Farmville with Cafeworld. As Playdemic's success grew and was subsequently acquired by Silicon Valley company RockYou at the start of 2011 Michael's role changed from that of game developer to more of a tools and technologies role. He became instrumental in streamlining the release process and facilitated ongoing game development by the numerous individual teams. After 3 years of happy employment at Playdemic Michael took the brave decision to quit Playdemic early 2013 so that he could take some time off and travel more of the world. After returning from his travels he decided to move to Australia to be with a lovely girl he met while travelling. During that time he worked as an independent games developer on a number of indie and freelance projects including the popular mobiles game Mr Nibbles Forever. In May of 2015 he moved to Perth to take a job with the virtual slot-machine company "Tap Slots". There he has been responsible for developing their leading product Slot Galaxy. His work also including promoting best development practices including Test Driven development and clean maintainable code. His latest work has been working on a new title on the Unity platform. Early 2018 mike joined GenVis a company using the latest machine learning techniques to solve computer vision problems. As Head of Engineering his responsibilities were varied but his primary focus was developing the core architecture as microservices powered by kubernetes. Later in 2018 mike left GenVis to join an exciting blockchain based development company Bamboo. He worked as the lead engineer responsible for developing both the front-end React Native mobile app and the back-end serverless Event-Sourced architecture. Early 2019 saw mike co-found Markd a SAAS company dedicated to making remembering people simple fast and fun. He currently works full time on the product while loving life in sunny Western Australia.